You can find a great price on popular Ford models like the Ford F-150 and Ford Escape with Suntrup Automotive Group. Browse our Ford inventory and see which model is right for you. Once you have found a winner, you can schedule a test drive at our showroom near . This Ingot Silver 2019 Ford Fiesta S might be just the sedan for you. We've got it for $11,120. This one scored a crash test rating of 4 out of 5 stars. Drivers love the ravishing silver exterior with a charcoal interior. It has the best mileage with 27 MPG in the city and 35 MPG on the highway. Interested? Call today to take this vehicle for a spin! For more information on this vehicle, contact our Customer Care Team at 314-822-9300 Thank you for your time and your interest! May require Ford Credit Financing. May include aftermarket items not included in pricing. Residency restrictions apply. Price does not include $199 administrative fee. See dealer for complete details. Contact Information: Suntrup Ford Kirkwood, 10340 Manchester Rd., Kirkwood, MO, 63122, Phone: (314) 822-9300, E-mail: suntrupford2@salespont.dealerconnection.com. Equipped with a backup camera, Bluetooth, braking assist, hill start assist, stability control, traction control, a MP3 player, anti-lock brakes, dual airbags, and side air bag system, this 2019 Ford Fiesta S is a must for smart drivers everywhere. This one's a deal at $11,494. This safe and reliable 4 dr sedan has a crash test rating of 4 out of 5 stars! Drivers love the timeless white exterior with a charcoal black interior. Make your move before it's too late schedule a test drive today! For more information on this vehicle, contact our Customer Care Team at 314-822-9300 Thank you for your time and your interest! May require Ford Credit Financing. May include aftermarket items not included in pricing. Residency restrictions apply. Price does not include $199 administrative fee. See dealer for complete details. Contact Information: Suntrup Ford Kirkwood, 10340 Manchester Rd., Kirkwood, MO, 63122, Phone: (314) 822-9300, E-mail: suntrupford2@salespont.dealerconnection.com. Get ready to go for a ride in this 2019 Ford Fiesta S, which comes equipped with a backup camera, Bluetooth, braking assist, hill start assist, stability control, traction control, a MP3 player, anti-lock brakes, dual airbags, and side air bag system. This one's a deal at $11,494. This safe and reliable 4 dr sedan has a crash test rating of 4 out of 5 stars! Rocking a sharp black exterior and a charcoal black interior, this car is a sight to see from the inside out. Interested? Call today and schedule a test drive! For more information on this vehicle, contact our Customer Care Team at 314-822-9300 Thank you for your time and your interest! May require Ford Credit Financing. May include aftermarket items not included in pricing. Residency restrictions apply. Price does not include $199 administrative fee. See dealer for complete details. Contact Information: Suntrup Ford Kirkwood, 10340 Manchester Rd., Kirkwood, MO, 63122, Phone: (314) 822-9300, E-mail: suntrupford2@salespont.dealerconnection.com. This 2018 Ford Fiesta SE boasts features like a backup camera, Bluetooth, braking assist, hill start assist, stability control, traction control, a MP3 player, anti-lock brakes, dual airbags, and side air bag system and will not disappoint. This one's available at the low price of $12,573. This 5 dr hatchback is one of the safest you could buy. It earned a crash test rating of 4 out of 5 stars. With a sleek red exterior and a charcoal black interior, this vehicle is a top pick. Want to learn more? Call today for more information. For more information on this vehicle, contact our Customer Care Team at 314-822-9300 Thank you for your time and your interest! May require Ford Credit Financing. May include aftermarket items not included in pricing. Residency restrictions apply. Price does not include $199 administrative fee. See dealer for complete details. Contact Information: Suntrup Ford Kirkwood, 10340 Manchester Rd., Kirkwood, MO, 63122, Phone: (314) 822-9300, E-mail: suntrupford2@salespont.dealerconnection.com. This Shadow Black 2019 Ford Fiesta SE might be just the sedan for you. This one's on the market for $12,866. Be sure of your safety with a crash test rating of 4 out of 5 stars. It has the best mileage with 27 MPG in the city and 35 MPG on the highway. Rocking a stunning black exterior and a charcoal interior, this car is a sight to see from the inside out. This is the vehicle for you! Give us a call today and don't let it slip away! For more information on this vehicle, contact our Customer Care Team at 314-822-9300 Thank you for your time and your interest! May require Ford Credit Financing. May include aftermarket items not included in pricing. Residency restrictions apply. Price does not include $199 administrative fee. See dealer for complete details. Contact Information: Suntrup Ford Kirkwood, 10340 Manchester Rd., Kirkwood, MO, 63122, Phone: (314) 822-9300, E-mail: suntrupford2@salespont.dealerconnection.com. Make sure to get your hands on this 2018 Ford Fiesta SE with a backup camera, Bluetooth, braking assist, hill start assist, stability control, traction control, a MP3 player, anti-lock brakes, dual airbags, and side air bag system before it's too late! This one's a deal at $12,953. With a 4-star crash test rating, this is one of the safest vehicles you can buy. Drivers love the charming shadow exterior with a charcoal black interior. Come see us today and see this one in person! For more information on this vehicle, contact our Customer Care Team at 314-822-9300 Thank you for your time and your interest! May require Ford Credit Financing. May include aftermarket items not included in pricing. Residency restrictions apply. Price does not include $199 administrative fee. See dealer for complete details. Contact Information: Suntrup Ford Kirkwood, 10340 Manchester Rd., Kirkwood, MO, 63122, Phone: (314) 822-9300, E-mail: suntrupford2@salespont.dealerconnection.com. With top features including the backup camera, Bluetooth, braking assist, hill start assist, stability control, traction control, a MP3 player, anti-lock brakes, dual airbags, and side air bag system, this 2019 Ford Fiesta SE is a great decision. We're offering a great deal on this one at $13,001. This one scored a crash test rating of 4 out of 5 stars. Drivers love the charming shadow exterior with a charcoal black interior. Come see us today and see this one in person! For more information on this vehicle, contact our Customer Care Team at 314-822-9300 Thank you for your time and your interest! May require Ford Credit Financing. May include aftermarket items not included in pricing. Residency restrictions apply. Price does not include $199 administrative fee. See dealer for complete details. Contact Information: Suntrup Ford Kirkwood, 10340 Manchester Rd., Kirkwood, MO, 63122, Phone: (314) 822-9300, E-mail: suntrupford2@salespont.dealerconnection.com. This Shadow Black 2019 Ford Fiesta SE might be just the sedan for you. This one's a deal at $13,366. You can trust this sedan because it has a crash test rating of 4 out of 5 stars! Exhibiting a beautiful black exterior and a charcoal black interior, this vehicle won't be on the market for long. It has great mileage with 27 MPG in the city and 35 MPG on the highway. Call today to test it out! Contact Terry Logan at (888) 429-4309 for more information. Thank you for your time and have a great day! May require Ford Credit financing. Price does not include $199 administrative fee. May include aftermarket items not included in pricing. Residency restrictions apply. See dealer for complete details. This Blue 2019 Ford Fiesta SE might be just the sedan for you. This one's on the market for $13,366. With a crash test rating of 4 out of 5 stars, everyone can feel secure. It has a sleek blue exterior and a charcoal black interior. This is the vehicle for you! Give us a call today and don't let it slip away! Contact Terry Logan at (888) 429-4309 for more information. Thank you for your time and have a great day! May require Ford Credit financing. Price does not include $199 administrative fee. May include aftermarket items not included in pricing. Residency restrictions apply. See dealer for complete details. Get ready to go for a ride in this 2019 Ford Fiesta SE, which comes equipped with a backup camera, Bluetooth, braking assist, hill start assist, stability control, traction control, a MP3 player, anti-lock brakes, dual airbags, and side air bag system. We've got it for $13,456. Looking to buy a safer 4 dr sedan? Look no further! This one passed the crash test with 4 out of 5 stars. Flaunting a dazzling white exterior and a charcoal black interior. Don't wait until it is too late! Call today to schedule an appointment. For more information on this vehicle, contact our Customer Care Team at 314-822-9300 Thank you for your time and your interest! May require Ford Credit Financing. May include aftermarket items not included in pricing. Residency restrictions apply. Price does not include $199 administrative fee. See dealer for complete details. Contact Information: Suntrup Ford Kirkwood, 10340 Manchester Rd., Kirkwood, MO, 63122, Phone: (314) 822-9300, E-mail: suntrupford2@salespont.dealerconnection.com. This Ingot Silver 2019 Ford Fiesta SE might be just the hatchback for you. This one's available at the low price of $13,501. Don't skimp on safety. Rest easy with a 4 out of 5 star crash test rating. Flaunting a sharp silver exterior and a charcoal black interior. Make your move before it's too late schedule a test drive today! Contact Terry Logan at (888) 429-4309 for more information. Thank you for your time and have a great day! May require Ford Credit financing. Price does not include $199 administrative fee. May include aftermarket items not included in pricing. Residency restrictions apply. See dealer for complete details. SYNC with MyFord: Use your voice to make a call, listen to music, voice-control, select apps with SYNC® AppLinkTM and much more. FordPass™: Control your vehicle remotely, find parking, and more! Pre-Collision Assist with Pedestrian Detection: Provides an audible and visual warning and enhances brake-assist sensitivity if a potential impact is detected. 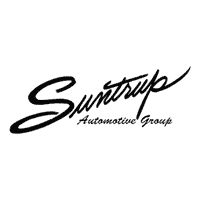 Experience the best Ford has to offer today at Suntrup Automotive Group. You can value your trade online and then discuss your financing options with the specialists at our finance center!